On March 5, Grammy-award winning artist and worship leader Chris Tomlin will perform at the Bon Secours Wellness Arena, as part of his Love Ran Red Tour. Greenville is one of more than 30 U.S. cities (plus Vancouver) that Tomlin will visit as part of the tour. 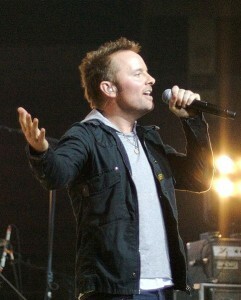 He’ll be accompanied by the bands Tenth Avenue North and Rend Collective (from Northern Ireland). You can purchase tickets for this concert here.